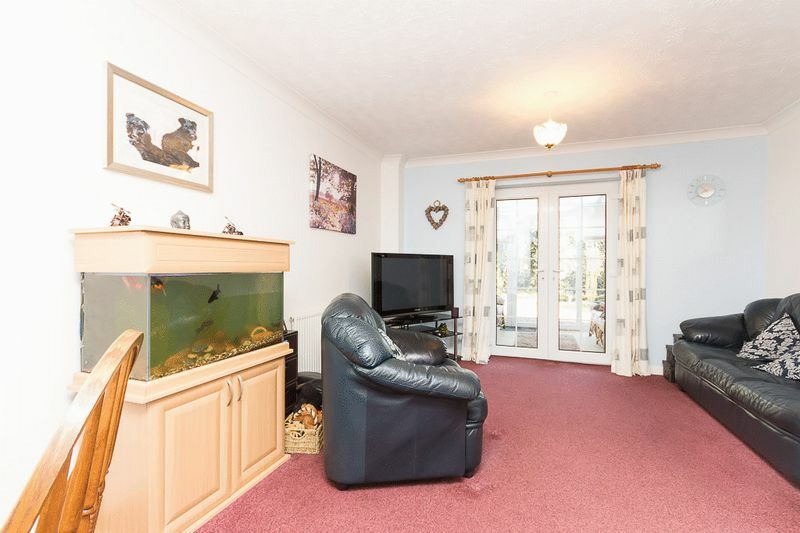 This well positioned, TWO bedroom house features a generous CONSERVATORY to the rear forming additional living space, a low maintenance REAR GARDEN, ample DRIVEWAY parking for at least TWO VEHICLES plus GARAGE and is situated in a popular cul-de-sac location within easy walking distance of the town centre, primary school and amenities. Viewing is highly recommended to appreciate all that is on offer. From the driveway a path leads to a uPVC glazed front door opening into the property's entrance hallway. 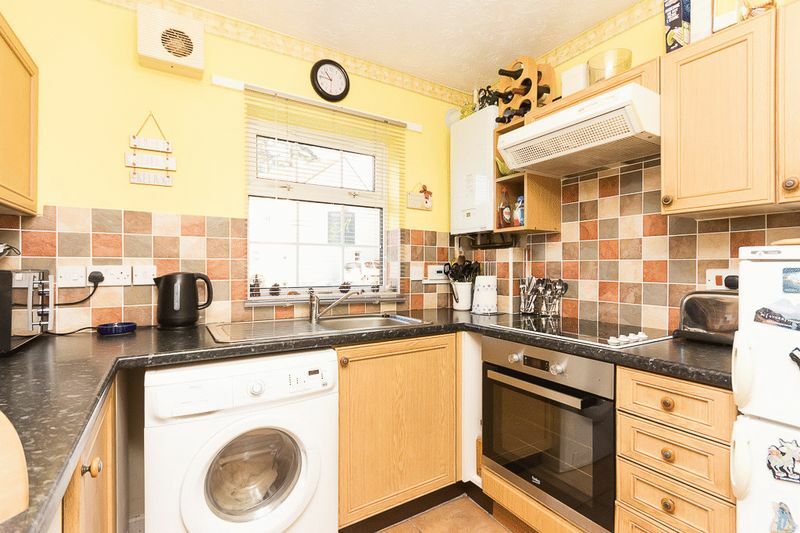 The kitchen is located to the front of the property and therefore enjoys a pleasant outlook to the front garden and into the cul-de-sac. The kitchen has been fitted with a good range of wall and base units, granite effect worktops incorporating a stainless steel sink and tiled splash backs. 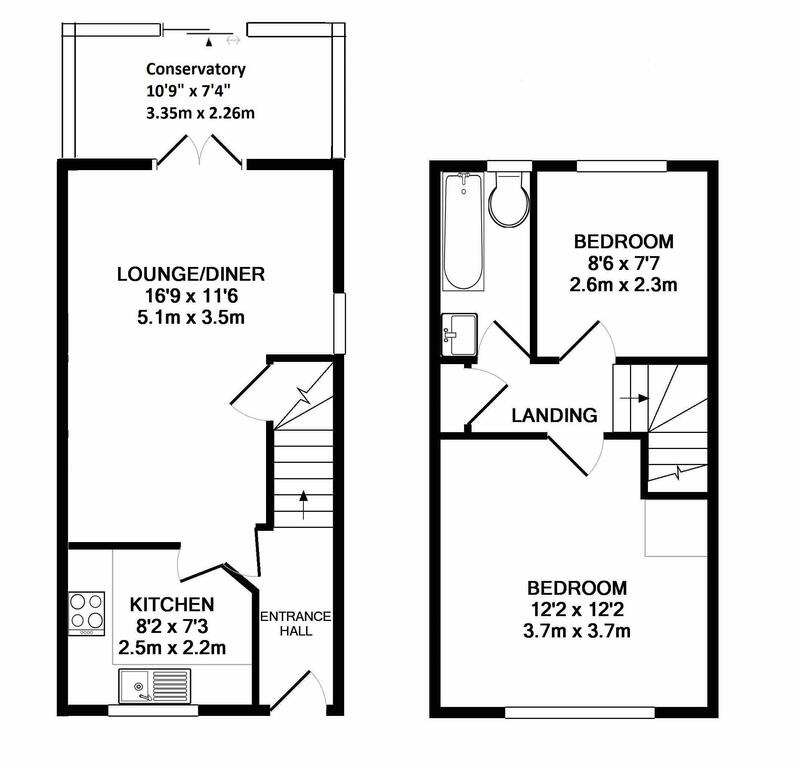 There is an integrated hob and built in oven below, cooker hood, extractor fan and space for a washing machine and space for a fridge freezer. 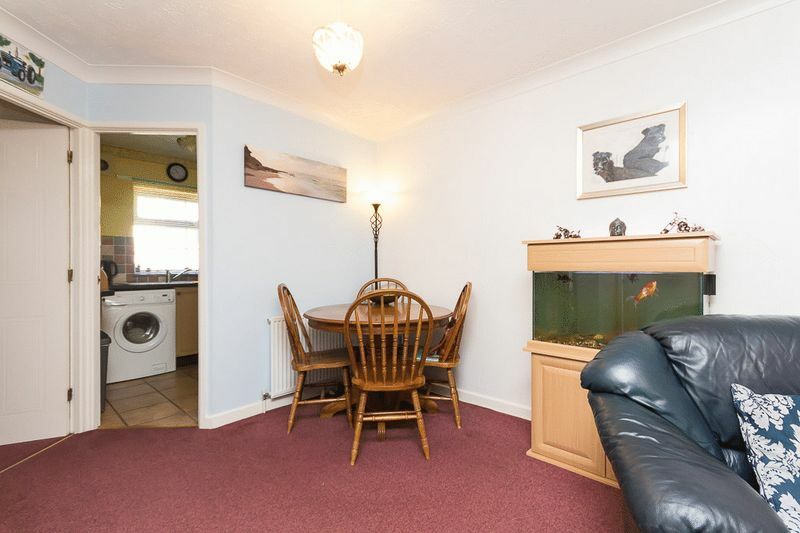 The living/dining room is a good size with French doors opening into the conservatory. 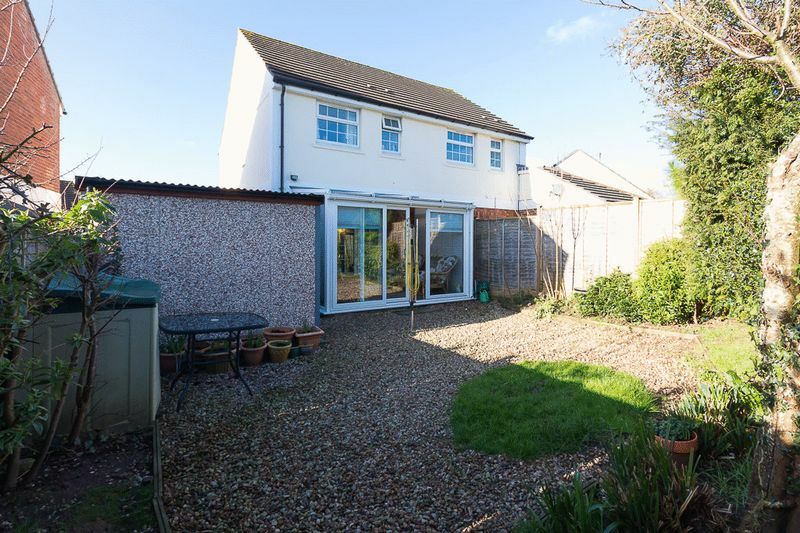 This is a wonderful and welcomed addition to the property allowing for extra living space and a pleasant outlook onto the garden with a large sliding patio door to open and enjoy in the summer months. From the entrance hall stairs rise to the first floor landing which provides access to the two bedrooms and the family bathroom. 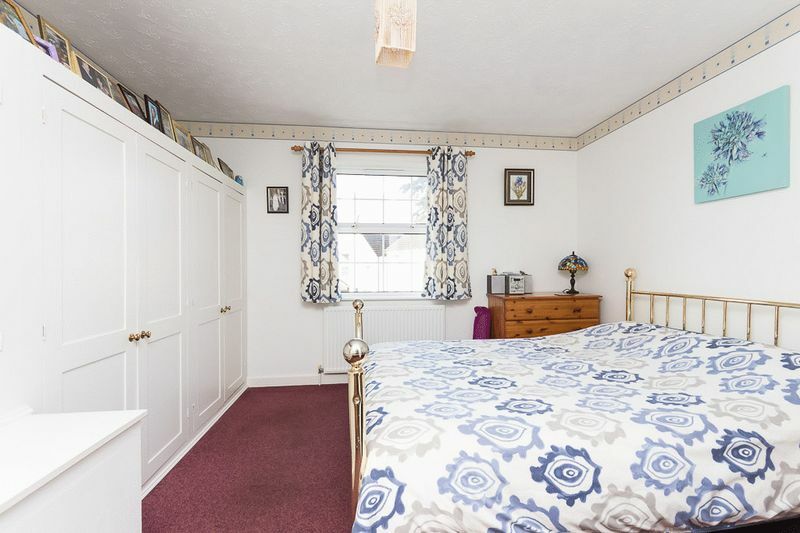 The master bedroom offers a pleasant outlook with a large double glazed window to the front aspect allowing in an abundance of natural light. 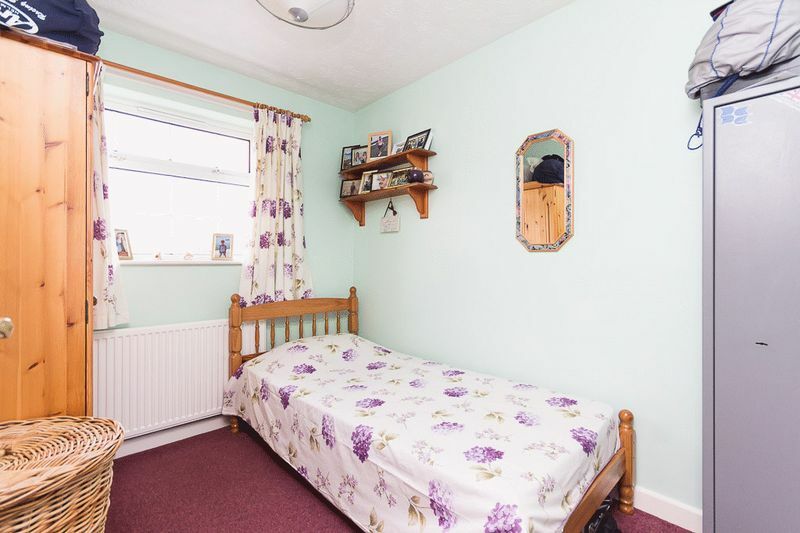 The second bedroom is another good size room with a pleasant outlook onto the rear garden. Completing this floor is the partly tiled bathroom which has been fitted with a 3 piece suite comprising bath with shower over, WC and wash hand basin. 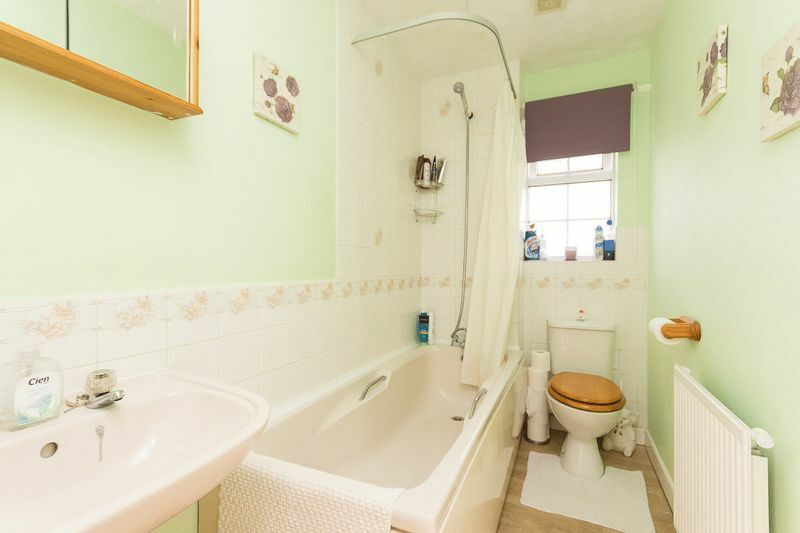 There is also a convenient airing cupboard on the landing. To the front of the property there is a neat lawn with a selection of shrubs. 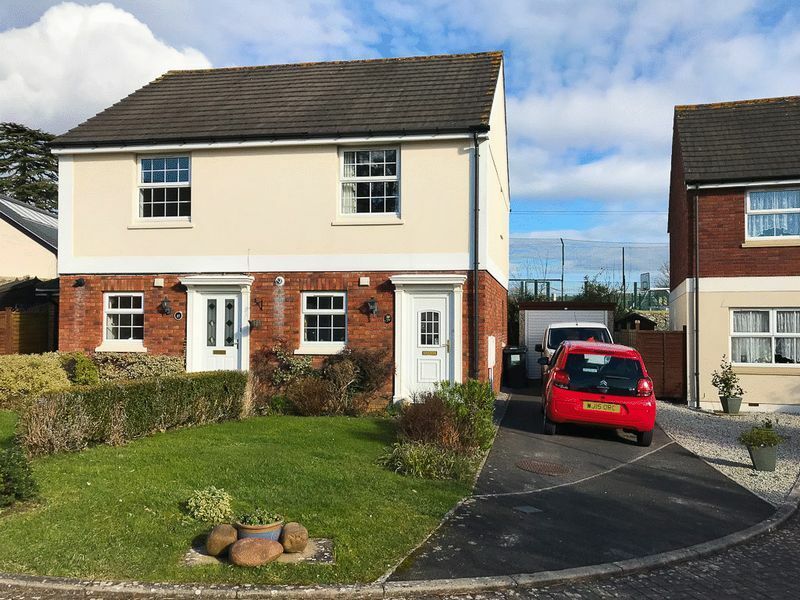 To the side of the property there is excellent off road parking for several vehicles on the driveway which leads to the single garage complete with a roller shutter door. The garage also benefits from power and light and an access door to the garden. 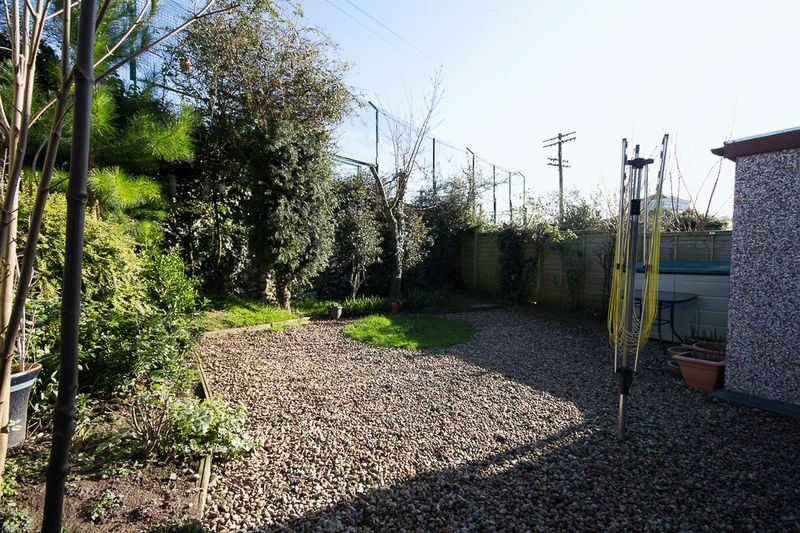 To the rear of the property is a well-enclosed landscaped garden predominantly laid to stone chippings with borders planted with various established shrubs and trees. 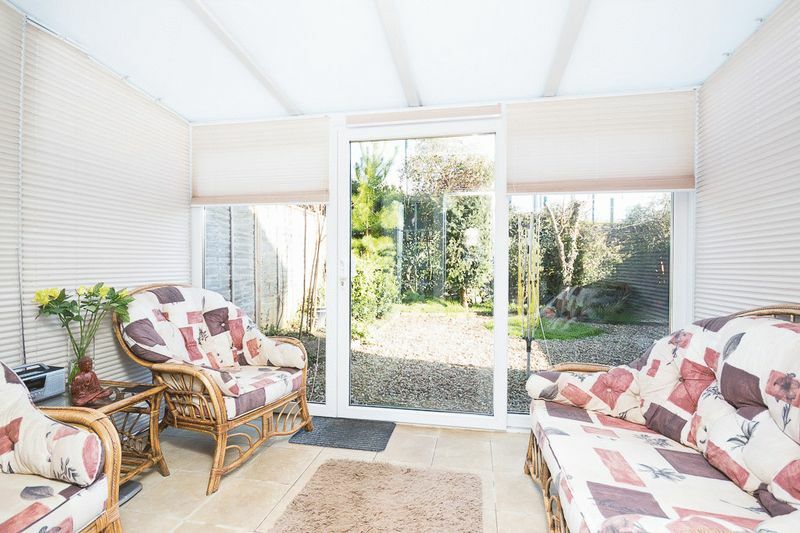 The garden offers space for garden furniture, table and chairs and a barbecue. There is panel fencing and high hedging to ensure a good degree of privacy. Access door to the garage.